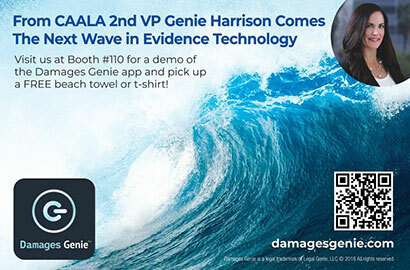 The Damages Genie™ app and software program for lawyers launched today at the Consumer Attorneys Association of Los Angeles (CAALA) Annual Convention in Las Vegas. Created by Los Angeles trial attorney Genie Harrison, and brought to life by her husband and graphic designer James Lizardi and software developer Martin Bambanian, Damages Genie™ allows plaintiffs to record data related to their emotional distress, and pain and suffering on a daily basis. 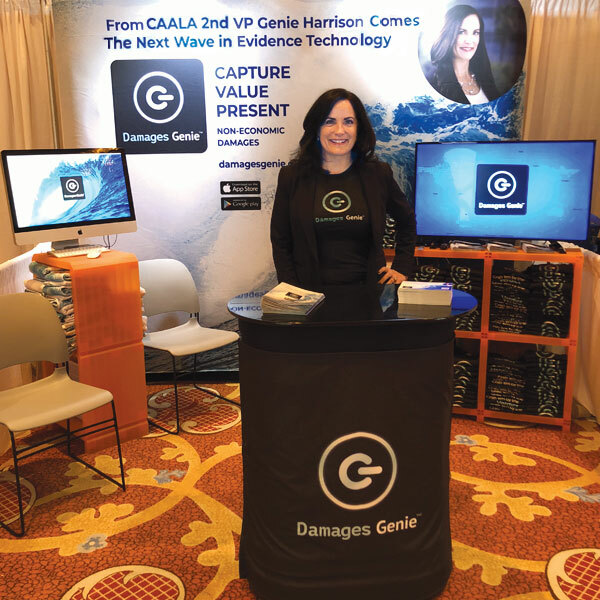 Genie Harrison attended the Damages Genie™ booth and provided demos for attorneys at CAALA Vegas, the largest convention of plaintiff trial attorneys in the nation. 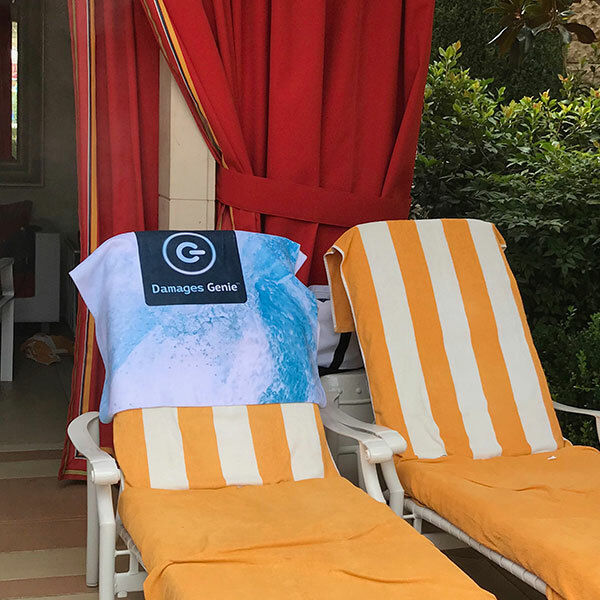 The Damages Genie™ team gave out logo t-shirts and logo beach towels in keeping with the theme of the convention.